Dark Miracles. Black Comedies. 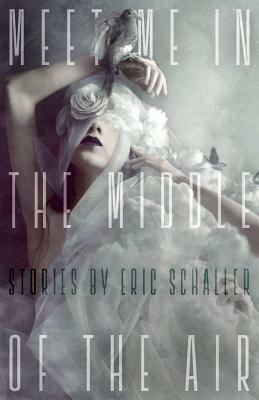 In an astonishing debut collection of short stories, Eric Schaller invites you to unlock the gates of horn, to ascend the bridge of sighs, and to meet him in the middle of the air. There you'll encounter Edgar Allan Poe cavorting with Marilyn Monroe; intimate insects and blood red roses; apes and automata; and urban witches, parasites, and zombies. Explore the secret nightlife of the Oscar Wildes. Join the Sparrow Mumbler onstage. March in the menagerie of madness and mayhem. Just don't look down because all that's holding you aloft is...air.